Here is a 2nd gen proto of the Y-Grip with plate grips on the sides. 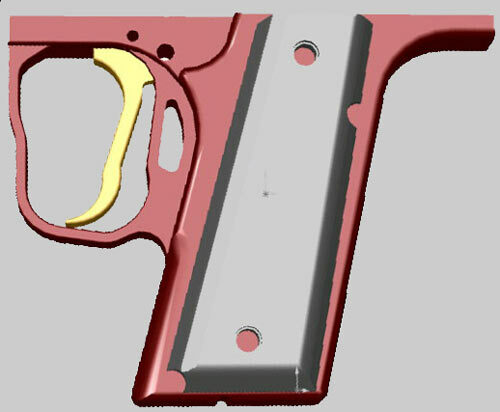 We are going to move the bottom of the trigger back a bit to give more room. Let me know what you think!